What is a composite portal? What are the advantages of composite portals over traditional portals? Introduced with V5.5, composite portals offer developers and application users greater flexibility in look, feel, and function. V5.5 includes two sample composite portals, User and Manager . The WorkUser and WorkManager portals, introduced in V5.1, are known as traditional portals. While these two portals remain functional and are supported in V5.5+, developers are encouraged to use composite portals when feasible for new applications. Composite portal are defined by a portal rule that references one or more harness rules, each known as a "space". The top-level object included in such harness rules is a panel set, defining places to hold section rules. Traditional portals have a narrow left panel and a wide right panel. 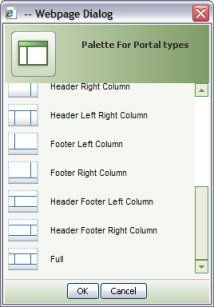 Composite portals offer a wide variety of 13 formats, such as Footer Left Column and Full. If your composite portals consist of multiple spaces, they may have different panel sets, though each space must offer a link, menu or other way that the user can navigate from each space to other spaces. The contents of each panel in a panel set is a section rule. The User and Manager composite portals reference standard section rules that provide similar or extended capabilities compared to the "gadget" facilities that make up traditional portals. 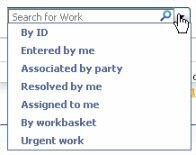 For example, the standard section rule @baseclass.FindWork replicates the structured search options available in the traditional WorkUser portal - find by ID, find work entered by me, and so on. Your application's composite portal can omit these sections, use these sections as is, or extend them. By providing additional spaces and panel sets, you can offer users or managers many functional capabilities; you are not limited to one form. Composite portals are fully supported by the Application Skin wizard. You can define, or later adjust, styles for the portal elements, work object displays, and reports through the Application Skin wizard. The wizard provides detailed control over dozens of user interface elements, eliminating the need to edit CSS definitions directly. The advanced WorkArea control allows users to open multiple work objects (in read-only or in update format) at once, facilitating comparisons, multi-tasking, and copy-and-paste operations. The standard User portal contains an example of this control, in the section Data-Portal.UserCenterPanel . In this example, the center panel includes five tabs — a worklist and four open work objects. 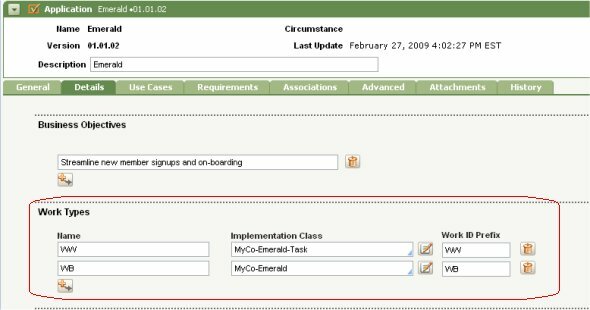 In a traditional portal, users who work on multiple applications must select a work pool before they can enter a new work object. The New work gadget displays a list of starter flow rules associated with the work types in that work pool. In contrast, when using a composite portal, users switch at the application level, not by work pool. Users who enter work in a single application never need to switch. 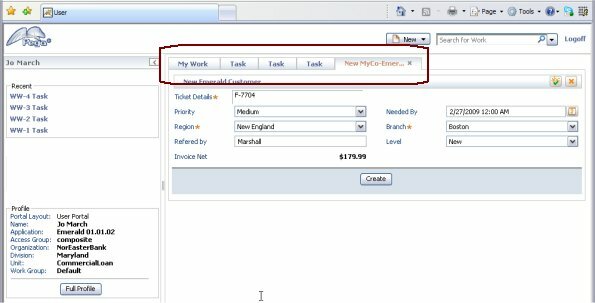 The list of starter flow rules is determined through information on the Detail tab of the Application rule form, not the access group. You can localize all the text strings presented in the User and Manager portals. The techniques and tools that support localization of sections used in flow actions and work object forms work for sections used in composite portals. The User and Manager portals —unlike the traditional portals — work with Mozilla Firefox 2+ (as well as Internet Explorer 6 and 7).